I followed through and made a galette with the pears from the co-op. I used this recipe for the crust and it worked well (you normies can substitute real butter for the vegan margarine). I have totally fallen for galettes. Less fussy than a pie, they're great for a quick weeknight dessert. 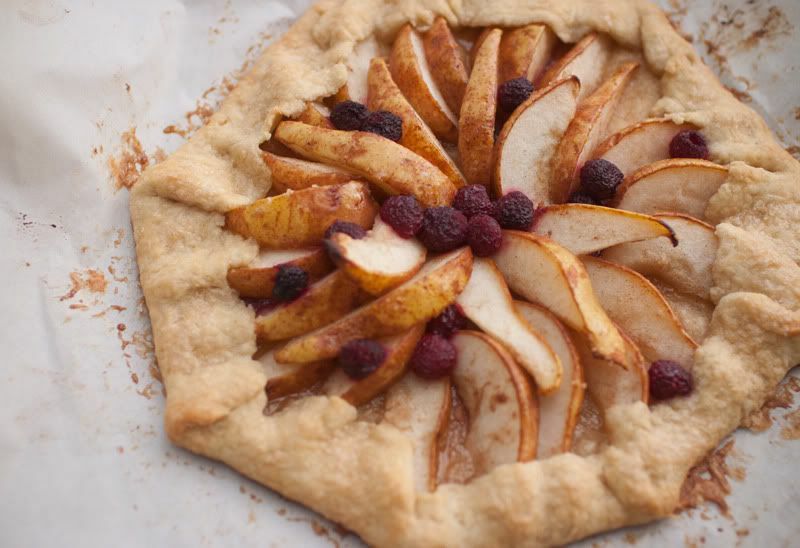 Plus saying "galette" makes me feel kind of fancy :) I have two pear trees in my backyard covered in fruit so we'll probably be eating a few more of these this fall. Yesterday I decided that shrimp cocktail and garlic bread sounded like an awesome lunch. I had picked up a shrimp ring at Costco on a whim the day before because I love shrimp cocktail and I was shopping hungry and my birthday's later this week and hey don't judge. Anyway, so I enjoyed my tasty-but-weird lunch but a few minutes later my face starts feeling flushed and itchy. I look in the mirror and see this. And my heart just drops. I'm sorry, but what the hell?!! Did I really just developed an allergy to shrimp? I had it a few months ago and was fine. 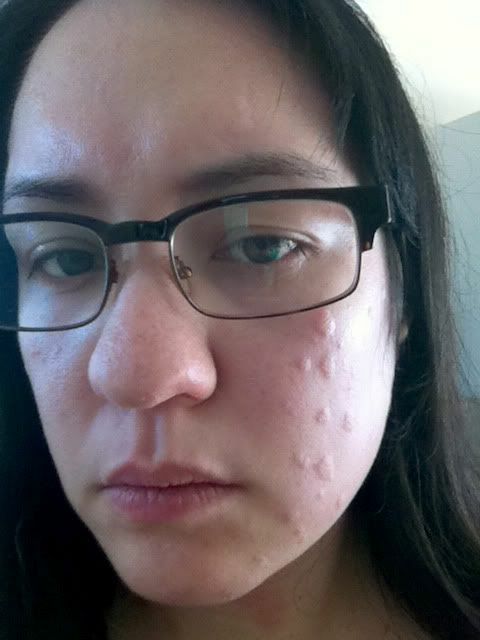 But this time my face got really itchy and I had a few scattered hives on the rest of my body. I downed some Benadryl and the hives went away in about three hours. Shrimp is pretty easily avoidable but I'm freaked out by the idea that I've developed a food allergy at thirty. I didn't know that could happen. Am I going to develop other allergies? Maybe it was just a weird one-time thing. I'm scared to try shrimp again because if I have another reaction and it confirms an allergy I'll be bummed.